See how Kareena Kapoor Khan slays it all the time! Be it bubbly Geet of 'Jab We met' or the talented actor from the film 'Heroine', Kareena Kapoor Khan's performance is more than hundred per cent. She creates magic before the camera. Starting from her debut, the journey as an actor, fashion shows, endorsements, marriage to motherhood, everything is a trend-setter and she is fashion incarnate. Her latest photo shoot for VOGUE magazines portrays her at her glamorous best. Her post-pregnancy weight loss is something to take inspiration from. Lot of credit for that goes to her nutritionist friend Rujuta Diwekar, who shot to fame after Kareena popularised the 'size-zero' trend. Now the duo has come a long way from fitness fads. Now her fitness regime is all about well being and staying in shape. 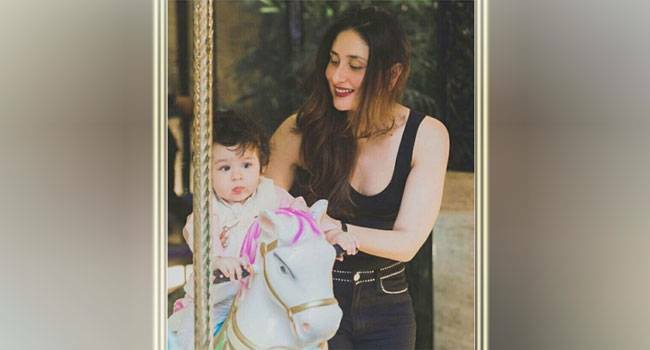 Kareena is a glamorous mother after Taimur Ali Khan's birth and the magazine wanted to show her in a never seen before look. 1. The breath-taking shoot took place in the amazing location, Amanpuri in Phuket. 2. 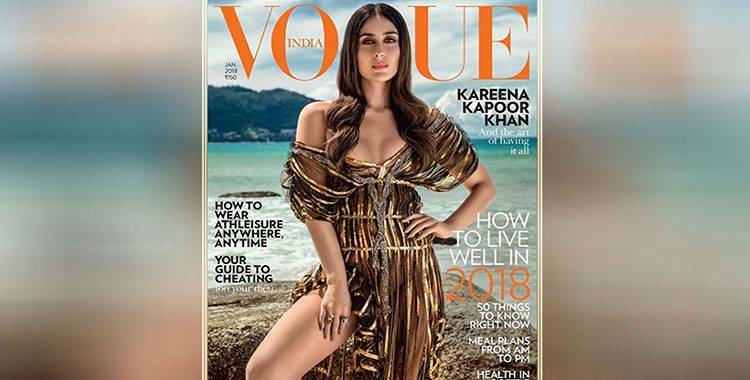 Kareena Kapoor Khan sizzled in a gold bikini from Melissa Odabash on the Vogue cover. 3. The plum dress she wore was a Givenchy number. 4. The next look was in a bandeau bikini from AntaraXnm. 5. Kareena Kapoor Khan is seen in a Cult Gaia and Gucci number. 6. The sun-kissed diva shines in a La Perla two-piece and Balmain beach cover-up. 8. The black beach-wear Kareena Kapoor is seen wearing Oscar de la Renta. 9. She looked hot in the bright red dress designed by Italian designer Giambattista Valli and Osman Studio. 10. Kareena Kapoor Khan wears a Dior maxi dress with a side slit and a teal blue dress with pleated details by Lebanese fashion designer Elie Saab. "I don't know how the size-zero thing started-but I was only 27 and I wanted to do it for a role. It looked amazing, but that was then. I've been in the business for a long time since, and I'm more mature-now, it's about being fit. I'm definitely comfortable in my skin right now," Kareena Kapoor Khan opened up in an interview with Vogue. Kareena Kapoor Khan's style statement is something that is definitely followed.